I have never been a big coffee drinker. I would always add lots of chocolate, cream, and sugar. In the past few years I’ve been drinking more and more. Basically, I replaced Pepsi with sweet tea, and replaced sweet tea with coffee (decaf mocha with skim milk and no added sugar to be exact). Here I am thinking I’ve found a treat for myself that’s mostly ok when my husband asks the question: “So, How is coffee made decaffeinated?” He goes on to say that coffee beans are naturally caffeinated so (teasing me) they must use some toxic process to make it decaf. Ugh!! So, I had to do some research!! 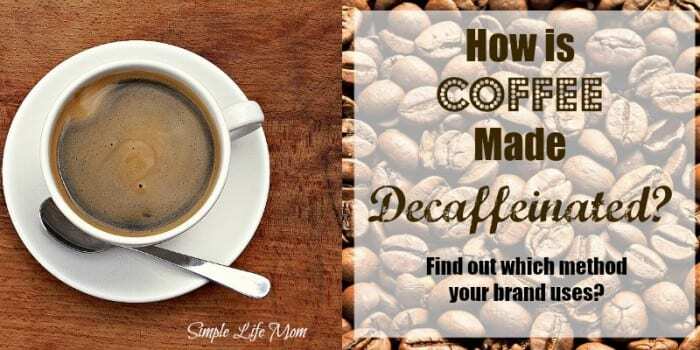 In the past, I’ve used Keurig Coffee Makers to make my decaffeinated coffee – but now there may be other ways of doing it! 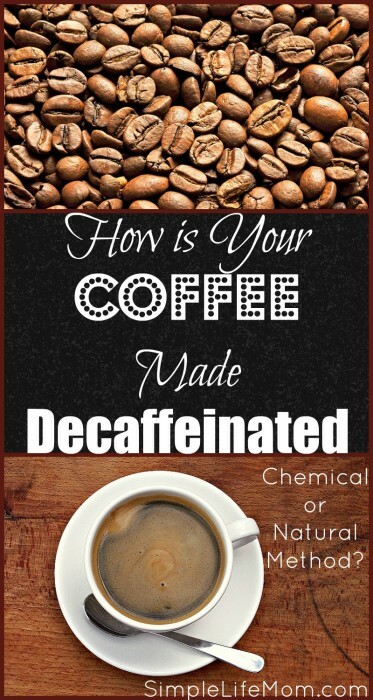 How is Coffee Made Decaffeinated? There are a number of methods. I’m going to give you a quick summary of the ones I’ve been reading about so that you can find out how your favorite brand is made. FYI (according to Little Coffee Place): Coffee must have 97% of its caffeine removed to be considered Decaf in America. The first decaf coffee was made steamed in a brine and then rinsed with benzene! Holy Cow! Benzene, a.k.a. Major carcinogen, found in cigarette smoke, by-product of coal burning, petroleum, forest fires, or volcanic ash. Today it is used in the manufacturing of nylon and some other plastics. It was even in after shave in the 1920s-50s until people started getting major headaches, dizziness, vomiting, etc. from it. Thus, companies decided it may not be good to make decaffeinated coffee using the steam/benzene method. The method of steaming remained, but benzene was replaced with Methylene Chloride. After being steamed to bring caffeine to the surface of the bean, green coffee beans are repeatedly rinsed by a water and methylene chloride solution (They are sometimes soaked instead like the method below). After about 10 hours of this, the beans are steamed for another 12 hours to make sure all of the methylene chloride is removed. Then the beans are roasted. Yes, it is steamed for 12 hours in some facilities, but there is a small amount that remains. These small amounts from everywhere we turn these days add up. So….not much better than benzene in my opinion. Safety Concerns: Ethyl Acetate is a natural byproduct of fermentation, such as the fermentation of wine. It is also made synthetically, and although the chemicals used in this process are considered low toxic, high exposure symptoms and results are similar to those above. So…we may say this is better, but still questionable if you are looking for something you can be completely happy with. This method is the same as described above, but instead of using ethyl acetate, the caffeinated water is passed through a bed of charcoal (kind of like when you filter your water). This is considered an organic and very safe method. I thought this was pretty interesting. The green coffee beans are soaked to bring the caffeine to the surface and then coffee oils found in spent coffee grounds are placed on the beans to absorb the caffeine out of them. This is also considered a organic and safe method. Green coffee beans are prepared by soaking, then they are heated and put under high pressure with carbon dioxide. The carbon dioxide is “pushed” into the beans and absorbs the caffeine. The carbon dioxide is then “drawn off” in some method and whatever remained in the bean evaporates as a gas. This is also considered an organic and safe method. Starbucks – Starbucks still has the notice up on their site that they use the Super Critical Carbon Dioxide Method for their Sumatra Decaf Coffee (6) Unfortunately, Starbucks discontinued this coffee!! 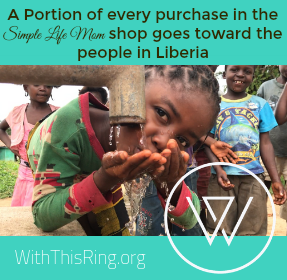 I wrote to them and received an email stating that they only use the Methylene Chloride method. Not Good!! Dunkin’ Donuts – I received an email stating that they use the Carbon Dioxide method AND the Ethyl Acetate Method. I asked which places or coffees use which method and was told – “We don’t know.” Ummm, someone has to know…..
Folgers – Folgers is owner by Smuckers, as is Dunkin’ Donuts, Millstone Coffee Co., and Medaglia D’oro, Cafe Bustelo, and Kava. 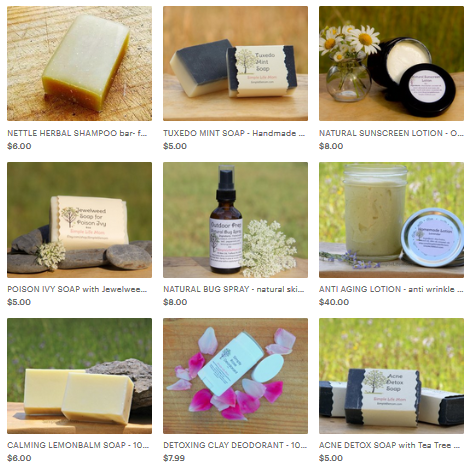 Thus, I received the same email stating they use Carbon Dioxide and Ethyl Acetate among their brands. That’s all the info. I have right now. If you have a favorite brand or company and find out their method, let us know and I’ll add it to our list. That’s the truth! That’s wonderful that you have roasters. My head hurts. 😉 I guess I’m grateful I can handle the “high octane” stuff. Thanks for going through all this research for us. It’s nice to know there are a few choices out there that are failrly healthy. We drink Seattle’s Best organic bean and grind them ourselves. Not Decaf, but now i know how to find healthy Decaf! thanks! I don’t drink coffee but my husband does and I always say to him to cut them down a bit. I will try this and see what happens! I had no idea of these different methods to prepare decaf coffee. I don’t drink decaf, but it’s scary to think that some of these methods are considered acceptable. Will keep this in mind if I ever buy decaf. I think the mindset to ask about how all our foods are processed is a great habit. I DO drink decaf coffee, so I’m running kinda scared right now, ’cause I’m sure mine is prepared with chemicals. So……… I drank Celestial Seasonings Ginger Bread tea tonight! ugh, well, hopefully one of the better brands listed above is available to you. I’m hoping more pressure will come to certain brands to change. I mean, that Starbucks uses the worst is pretty pitiful! I didn’t know that there were so many ways to decaffeinate coffee. From now on, I will turn to something other than coffee for a decaf beverage. Yes, or find out how your favorite brand processes it. It’s not bad if it’s done in a one of the healthy ways. This is so interesting, I’m glad that there are some healthy methods of making decaf coffee, though I like mine with caffeine. Well, as a decaf drinking this is NOT exactly good news but it very good to know! Super interesting. I’m a full strength girl, but good to know about this!